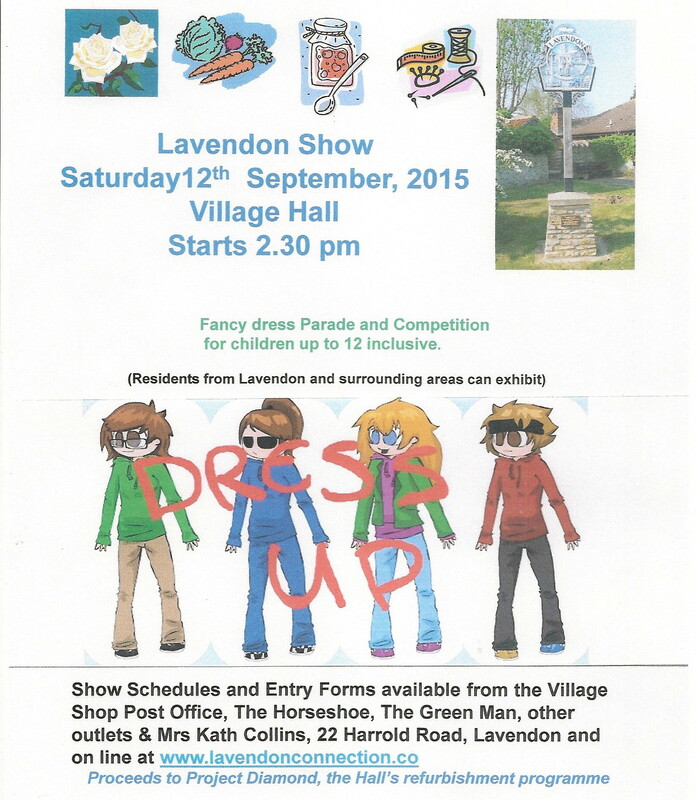 Don’ t forget there will be a Fancy Dress Parade and Competition at the Lavendon Show in the Village Hall on 12th September. Perhaps your children would like to participate for a chance to win a trophy?! Posted on Monday, 24 August 2015 by Editor •	This entry was tagged Events, Lavendon Show, Village Hall. Bookmark the permalink.